The story begins when Susan Simmons returns to school from spring vacation. Susan has been looking forward to the big class play her teacher has been planning. But to her dismay Ms. Schwartz is gone... replaced by tall, handsome Mr. Smith, a strictly "by the book" teacher with some very strange habits. Investigating her new teacher, Susan makes a shocking discovery: "Mr. Smith" is actually an alien named Broxholm who is planning to abduct five students. Firstly, I'd like to address the narration. It seems a few readers were very put off by the female rendition of Augie s voice. At first, it seemed to me like an odd choice. However, as the book progressed, I got accustomed to it. I took into account that Augie had multiple facial deformities, including a cleft palate that was not yet completely repaired. He was also very small for his age. Under any circumstances, his speech/voice would have been somewhat odd and not entirely normal. I came to look forward to his chapters and listening to him narrate. So, for me, it was a positive, and I really enjoyed the narrator's interpretation of his voice. As for the story, I loved everything about it. I really miss it now that I am done and keep wishing there was more. I actually miss Augie! This is a book that can be enjoyed by all ages; it is not just for middle school kids. I really liked hearing the viewpoints of the different characters and felt the author was successful in giving them each their own chapters. This book has so many good messages and it should go a long way in fostering understanding and tolerance of differences. It would be wonderful if it was required reading for preteen students. It brought smiles to my face and tears to my eyes and it had a very feel-good ending that I think was realistic and believable. A highly recommended informative and fun listen! This book warmed my heart. Auggie's character is honest and loveable, showing courage and perception well beyond his years. 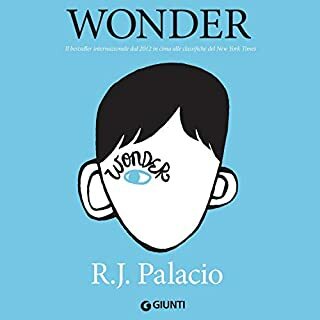 Wonder develops through the viewpoints of multiple characters - each captured through a unique and fitting voice - adding depth and personality to a beautifully written story of family, friendship, acceptance, and the never-ending struggle to fit in. What made the experience of listening to Wonder the most enjoyable? 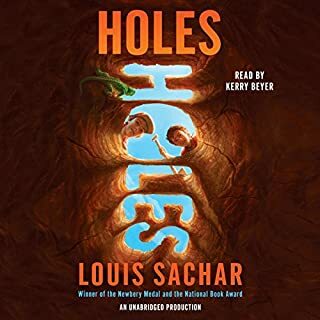 I have to admit that when I first started listening, the narrator's interpretation of Augie's voice wa a little hard to get used to. But the narrator hit just the right note, because a kid with a severe facial deformity WOULD have trouble speaking. In retrospect, this was perfect because it gave me a hint of the feeling other characters have upon meeting Augie. His face makes people uncomfortable--to say the least. I found this masterful book after reading a NY Times rave review. I work in the YA market, so I need to stay current with the best books. Although this is supposed to be a middle grade novel, I'm giving it out to many of my adult friends for Christmas. The characters, each and every one, are so beautifully realized. You will root for Augie, this very funny, very cool, but very damaged kid. You will love the unlikely friends he makes and boo for his villainous enemies. You will love the way Augie wins people over. 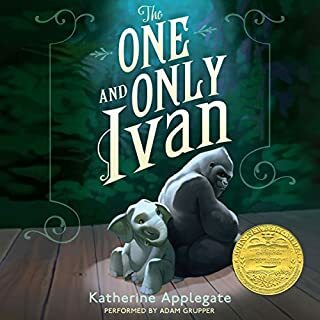 Parents might be interested to know that, unlike many of today's popular middle grade and YA fiction, the parents in this book are caring, dedicated parents. They aren't drunk, they aren't on drugs, they aren't brain-dead. I loved how they struggle to do their best for both their teenage daughter as well as for Augie, who naturally soaks up most of the attention. 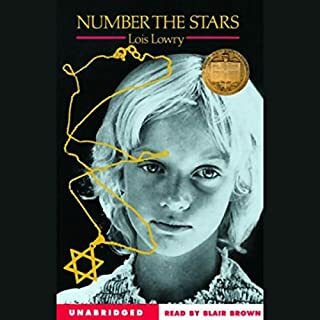 I have given this book to a fifth grader, who devoured it. I've given it to a junior in high school, who devoured it. I cannot wait until the next RJ Palacio book comes out. Well, I have to admit, it's an easy one: you will fall in love with the main character, Augie, an extremely ugly duckling who will never turn into a swan. You love him for the strides he boldly takes in a world that idealizes beauty. Having said that, I also fell in love with Augie's sister, his wise principal, and all the friends who love him from the start--and those who learn the true meaning of beauty at the end. I laughed a lot in this book. Palacio "gets" fifth graders and teens. I never cried, but I do recall a few times when I had that smile on my face, the one that's just before you cry because you're happy. Buy this book. Give it to your friends. Give it to your parents. Give it to your siblings. Give it to you mailman. This is a wonderful, wonderful book! It's about a fifth grader--but this is a book for every age. As an adult who works extensively with developmentally and physically disabled children and adults... I applaud this book. Simply but beautifully told account of Auggie, who with his facial anomalies leaves the cocoon of homeschooling to attend 5th grade. Well rounded point of views help the reader to understand how this disability affects friends, siblings, parents and teachers. 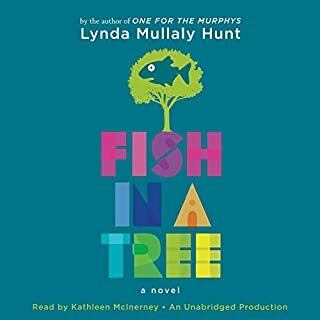 Uplifting, clean read with a few sad spots and some really funny parts too. Nicely done! What did you love best about Wonder? 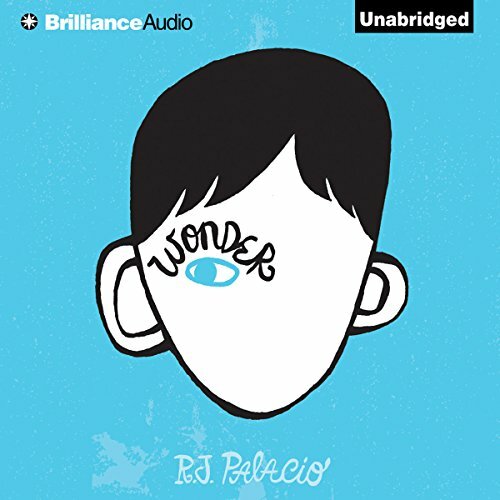 Wonder is a story that all middle school children should be reading. As an elementary teacher, I can tell you that it doesn't do justice to the occasional savagery of young adults, but it's still a close enough approximation to be a valuable tale. The trouble with this recording is the narrator who performs the role of August. 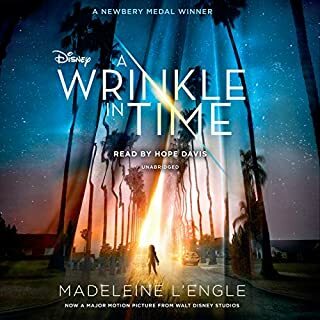 August is in many ways a naive and overprotected character, but the narrator's vocal presentation is not nuanced and represents him as more infantile than I understood him to be. Indeed, I'm not sure this male role should have been performed by a woman: I found her attempt at a prepubescent male child's voice to be grating and unpleasant to listen to. The narrator who performed Jack's character was much more believable as a city kid; indeed, all the other character performances (some of which may have been performed by the same narrator who performs as August, but using a different voice, thankfully) were excellent. If you can tolerate this troublesome character representation, then you'll enjoy this book. I gritted my teeth and plowed through the initial sections until the narrators switched, and I'm glad I did---the story's worth reading to its conclusion. This is a beautiful story. An amazing story for any youth to read. It could also teach a lot of adults a thing or two about empathy as well. I really like how a boy so 'ugly', could spread so much joy and love. Amazing overall. However, I must say that the choice to have the boy's voice read in a raspy whisper was an absolutely TERRIBLE choice. Why wouldn't they just use a normal young sounding male? It was extremely annoying, and it made him sound like a whiny baby. The writing wasn't bad at all, but the narration was just dreadful. Kate Rudd was amazing as always, and she saved the entire book for me. 5 star for her. 1 star for the other. 3 star overall. My only complaint: the cartoonish narration detracted from this otherwise sublime and poignant story. A wonderful book– one that everyone should read. Another fantastic book in the kid's section. Palacio handles a tough topic in a beautiful and wonderful way. Beauty is subjective and changes with the latest fad. Of all deformities, one to the face, which can not be hidden has to be the worst. August is a brave soul, with little choice and must learn to deal with his face and how others react. Get your hanky ready, you will need it. I liked this from the beginning, it is always entertaining, but I really did not feel invested until four hours in. It was a five star listen up to four hours, it just got goosed up a bit in the middle and stayed that way to the end. Don't scoff at the junior high war, I was the center of one in my eight grade year It changed my outlook on life and people for the rest of my life. It was not until after listening and getting ready to write this review that I realized some people had trouble with the narration. August had a gruff sounding voice, done by a woman, but I just figured it was the result of his deformities and surgeries. A girl does the boy voice in Room and a girl does Bart Simpson. Women doing young boy voices is fairly common.